We stock a range of white wedding chairs. We have silver beaded white wedding chairs, also known as Louis Chairs. 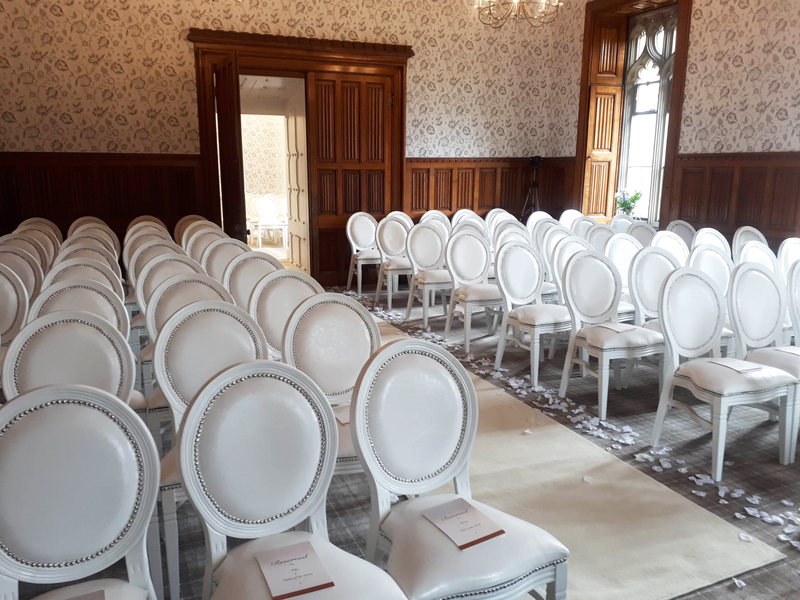 We also have white wooden Chiavari chairs, we even have white wedding thrones. If you do not intend on dressing wedding chairs, then the silver beaded white wedding chairs are the ones for you. They look spectacular on their own. Our Silver Beaded White Wedding Chairs set up for a wedding breakfast. 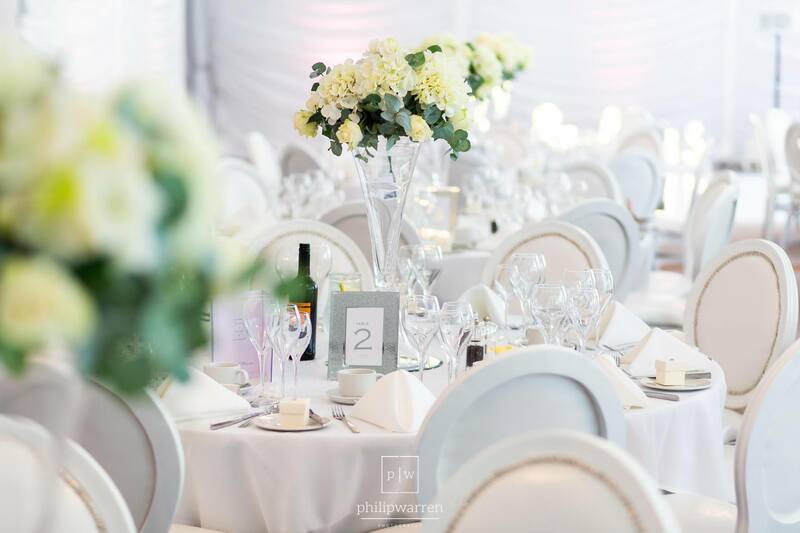 Our white Chiavari Chairs are perfect for an all white wedding. These chairs are slimmer than our Silver Beaded White Wedding Chairs, so you can fit more of them around a table comfortably. We can also fit more of them in the same space for transport, which results in lower transportation costs.